New OEM MINI Eaton supercharger for R52, R53 MINI Cooper S 02-06. 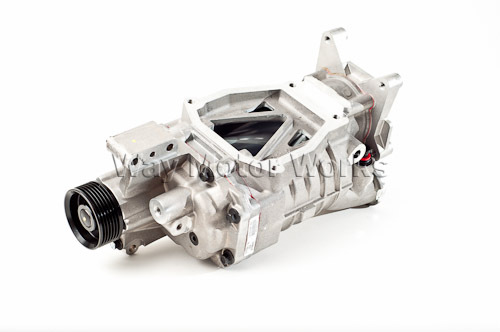 This is a new unit from MINI, not a rebuilt unit from some aftermarket company. WMW is also offering this with the stock size pulley, NO pulley installed, or John Cooper Works Pulley installed, or for an $99 up charge we will install one of our WMW 15%, 16%, or 17% reduction pulleys to make up to an additional 20hp. When selecting this option the supercharger will come with a the pulley pre installed so you only need to install the supercharger on your MINI.